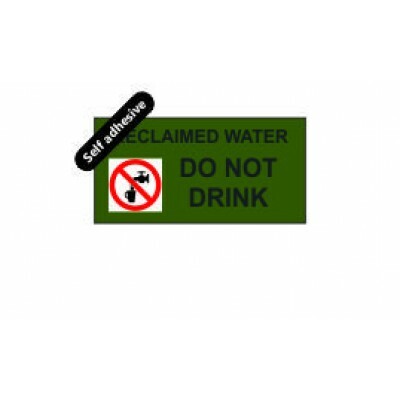 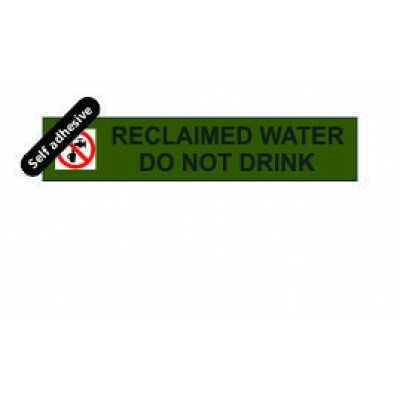 Reclaimed water labels in self-adhesive vinyl and rolls of self adhesive over laminated pipe identification tape for greywater, reclaimed water and rainwater complying to the new British Standard 1710 2014 edition. 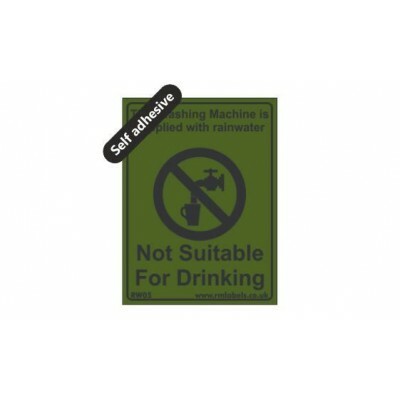 It is a requirement for rainwater pipework and rainwater harvesting systems to be labelled. 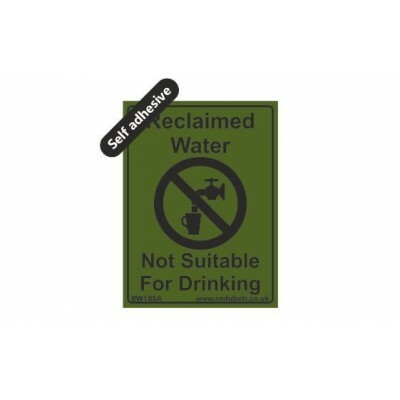 All label sizes are displayed width x height and the vinyl used is 70 micron 7 year external weathering. 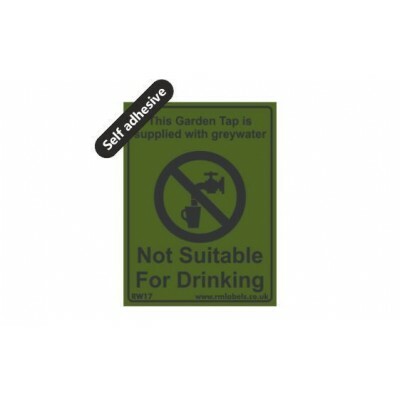 All tapes are 50mm wide x 33 metres long self adhesive and over laminated for internal use.